I always feel like a child at this time of year. The first flashes of fairy lights are appearing on our street. The shops are in full festive playlist mode. The Christmas tree is up and twinkling affably as I type. As the Christmas traditions come thick and fast, I am filled with a sense of excitement and wonder. It has always been this way. For me, Christmas is always magical. 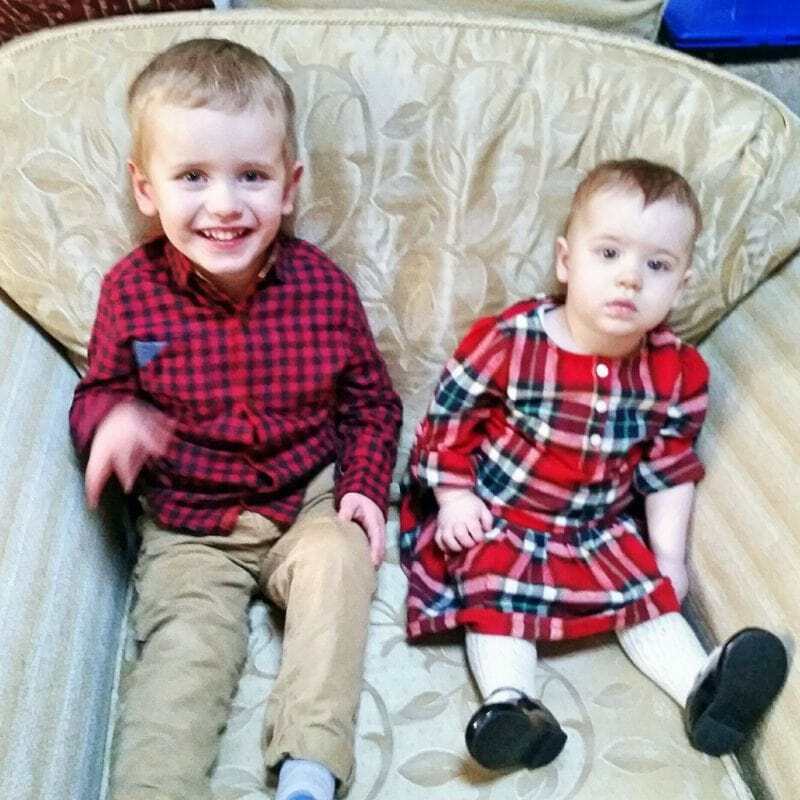 Now that I have little ones of my own, that wonder is multiplied by theirs; nothing makes Christmas as special as watching your child’s eyes widen with delight. Glimpsing Santa in the high street, waking up to find the house is transformed by lights and sparkle, red and green and silver and gold – nothing beats it. So when Mothercare offered to send us some festive items to add to our own Christmas traditions, I was thrilled to take part. One of the great Christmas traditions that I have taken part in since I was a child is getting festive pyjamas on Christmas Eve. At first, my sister and I matched – red plaid and button-up tops, just the same. Even when we resisted that aspect, we would still have a bath and change into our brand new pyjamas at about 8 o’clock on Christmas Eve, right into our teens. It is a tradition I knew I wanted to pass on to my own children. 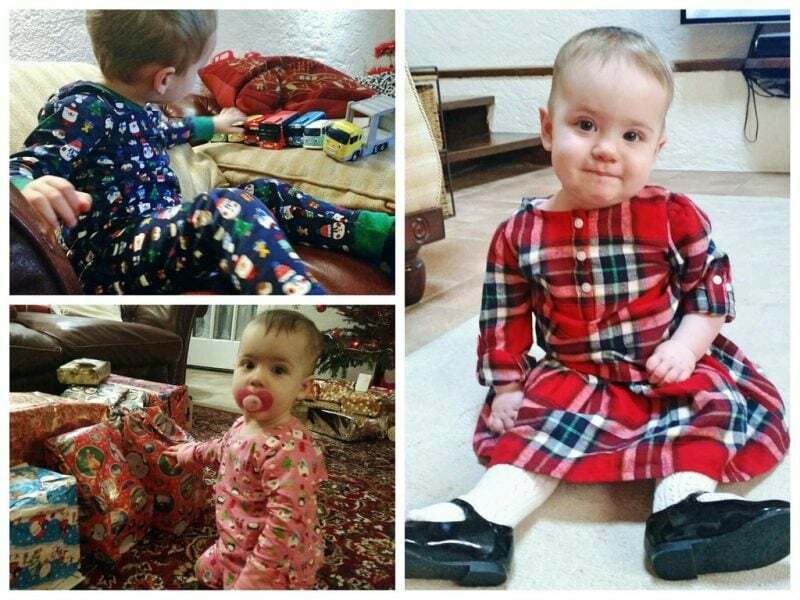 The pictures below are from Littlest’s first Christmas and, as it happens, they had matching Mothercare Pyjamas then too! 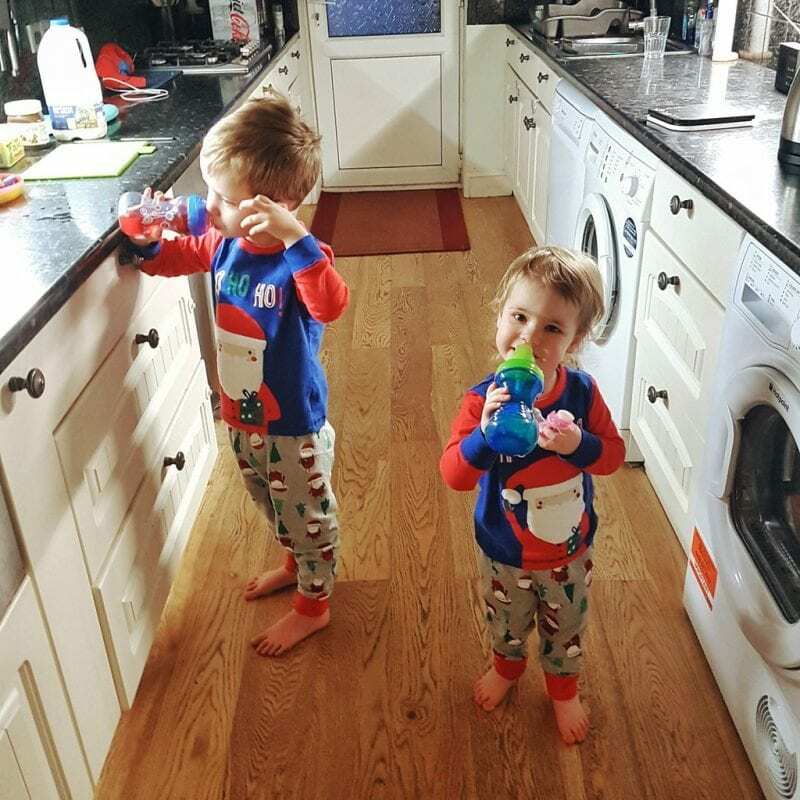 As this was a tradition that I had already started, I knew it was fate when Mothercare offered to send us matching pyjamas for this year. Now that they have been worn once for the photos, they have been washed and put away ready for Christmas Eve. 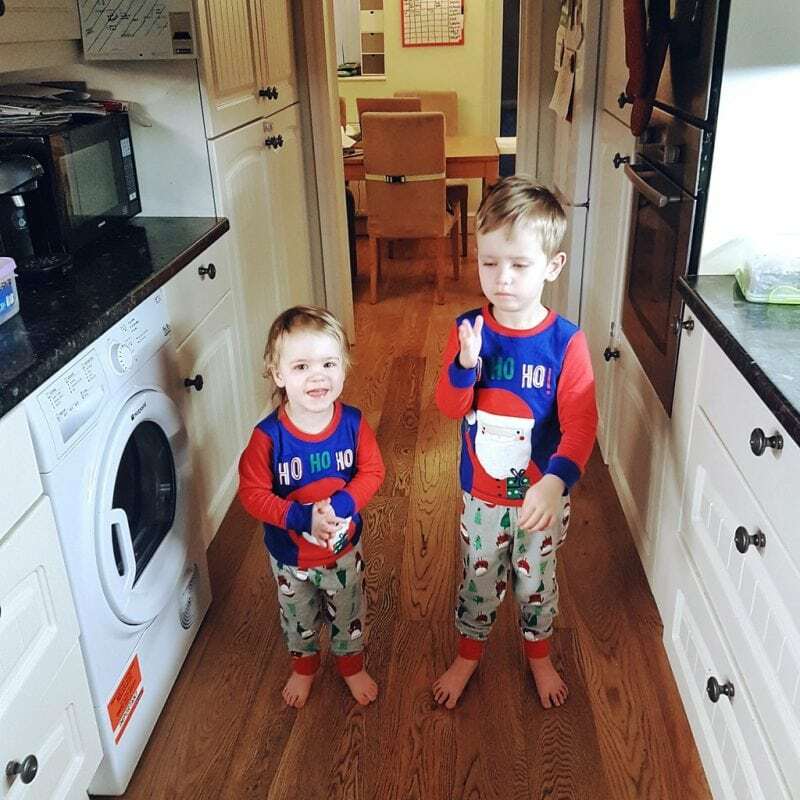 The children’s Christmas day outfits and pyjamas have come from Mothercare for the last few years. Special clothes for Christmas day and particularly for Christmas dinner is a tradition that both sides of the family share. Strangely, both my husband’s family and mine also developed this tradition independently. When my parents lived in the UK, we would always get a Chinese takeaway on Christmas Eve. It was a special treat and meant no one had to cook at a time when the kitchen was filled with Christmas dinner preparations. 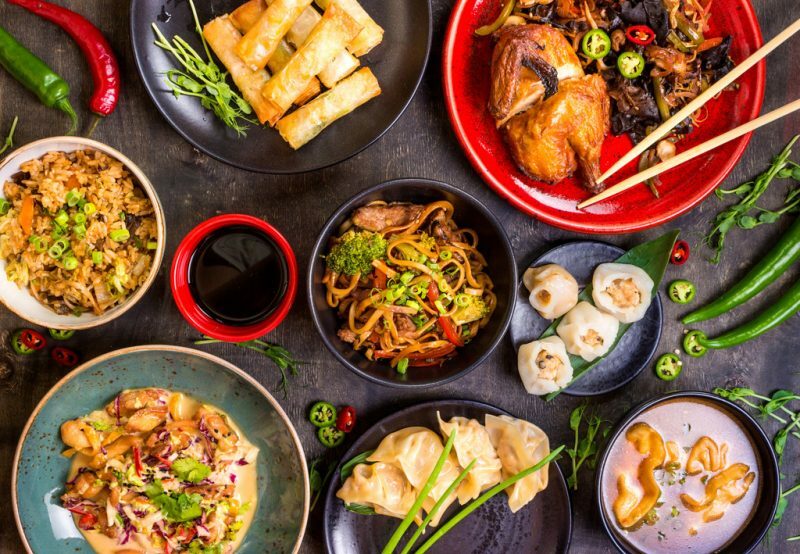 Now that they live in France we still have a Chinese banquet when visiting them on Christmas Eve – but everyone chips in and creates a dish, to lessen the workload. It creates a real sense of community and is still delicious! Another tradition that we are keen to maintain is keeping the same ornaments and items that come out each year. In my husband’s family they have a running joke – for the last forty years, a now battered snowman has always sat on their parents’ dresser at Christmas time. He is now looking a bit worse for wear but any time my husband and his siblings are home, even though they are all now around forty, they find the snowman and put him in his proper place, much to their mother’s chagrin. 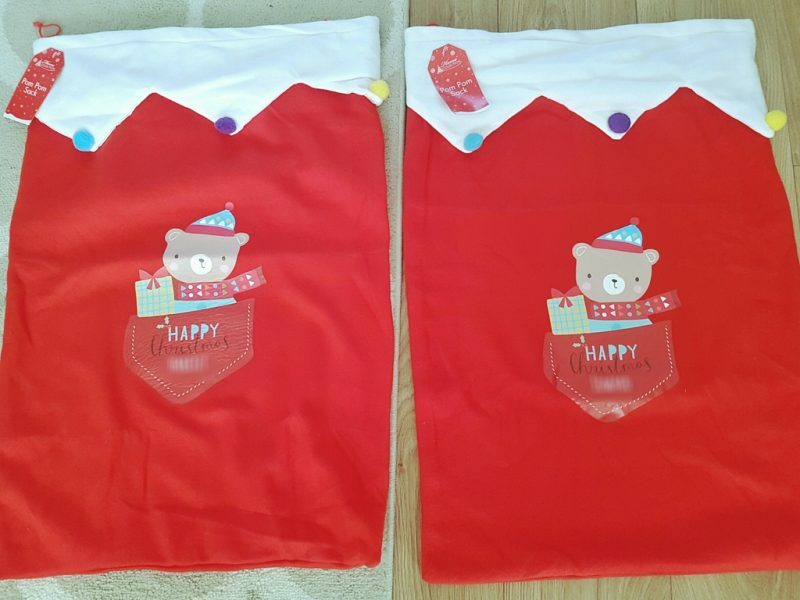 We also have some lovely personalised stockings for each of them. I hope that my children will remember these items fondly and will be full of anticipation each Christmas eve, wondering what they will find in them, for many Christmas mornings to come. 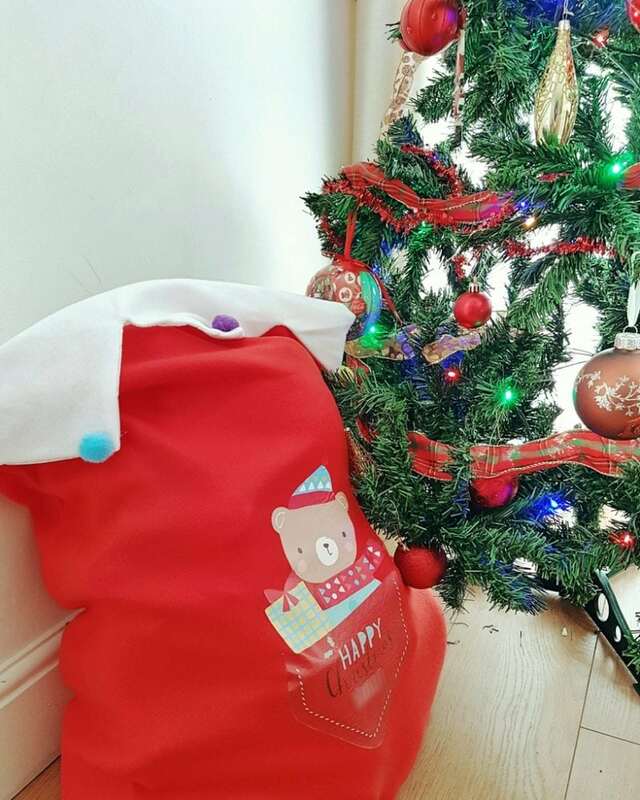 The sacks from Mothercare are made of good, durable material. They are also large enough to hold a good few gifts, as you can see above. When I lived at home I would always bake on Christmas Eve – gingerbread cookies or mince pies or fruit cake. It would happen just before the bath and pyjamas, so that we were all clean by the time the cakes or cookies had cooled, and ready to eat them. The smell of festive spices would fill the house. 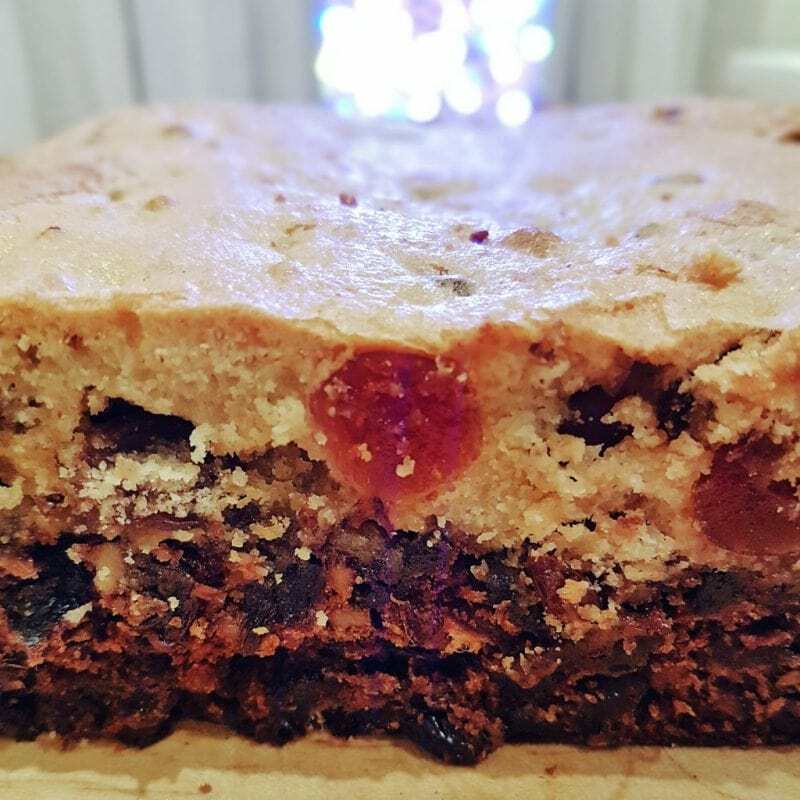 This year I will continue that Christmas tradition by baking our recipe for Double Decker Festive Fruit Cake and getting the children involved. Writing a letter to Santa is also an activity that I have done with pupils of all ages. 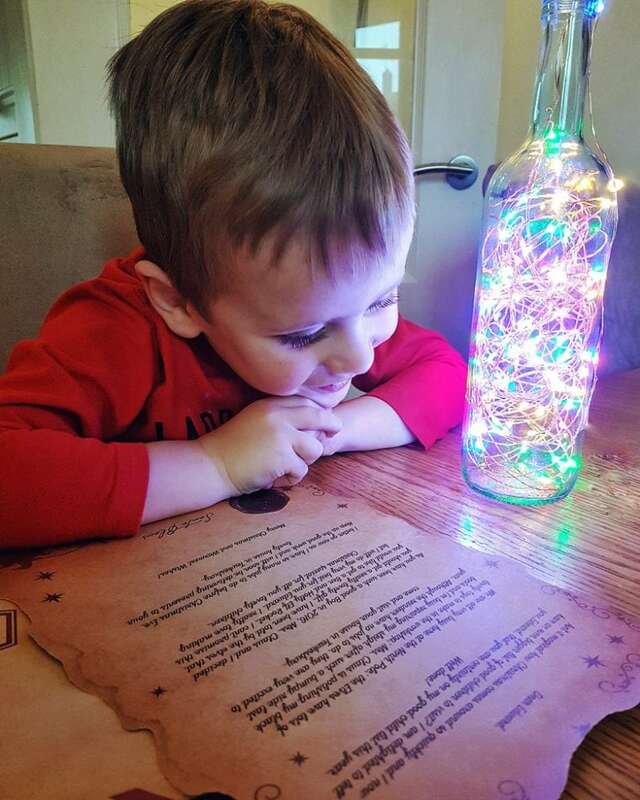 Even older children can learn and experiment with punctuation and clauses while engaging in a bit of festive fun and getting the glitter out to decorate. I only came across this idea recently but I decided to do it straight away. Instead of receiving something each day of advent, you give something. 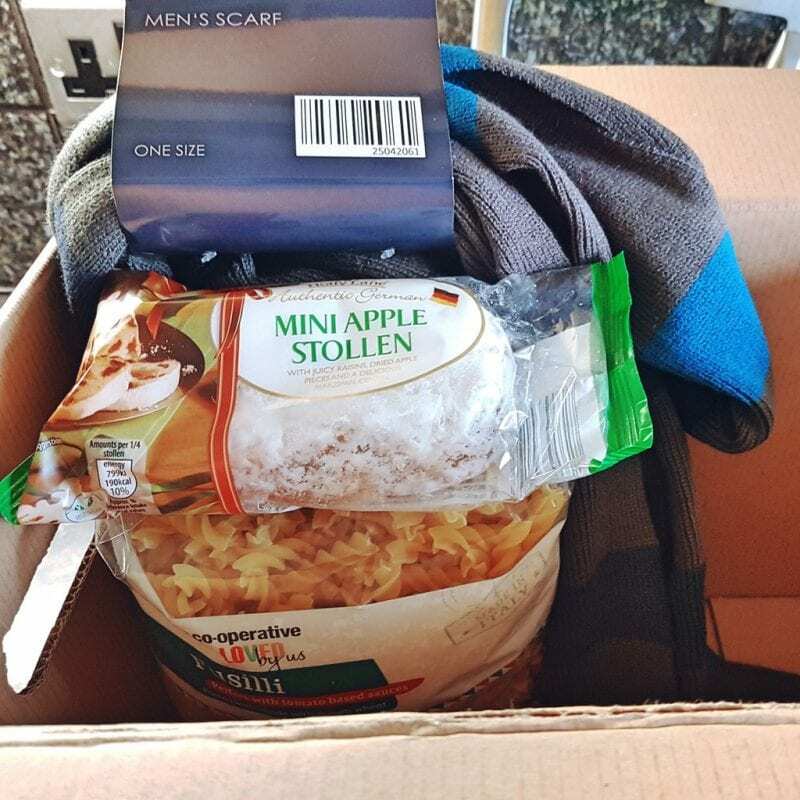 At the moment I am adding something every day to a box that I will donate on Christmas Eve. However, this doesn’t have to involve actual material possessions or any cost. 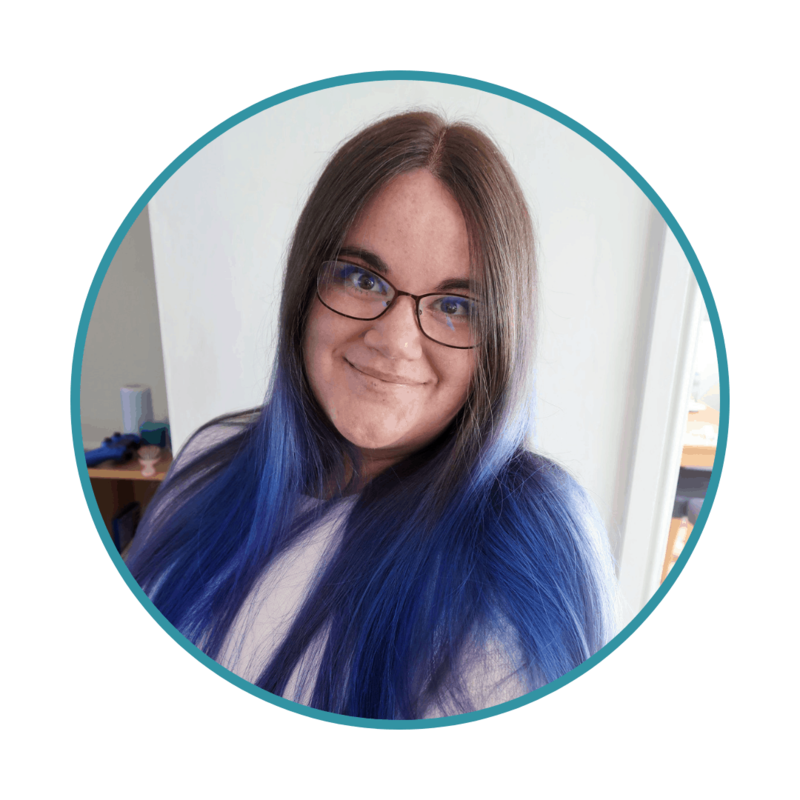 You can give kindness too, like this lovely idea of the Kindness Challenge from Lisa at The Love of a Captain. I want Biggest and Littlest to know that Christmas isn’t just about receiving material things – it’s about giving and receiving love. These ideas are great ways to show children how important it is to think of others. For me, Christmas is all about love – spending time with the people you love and spreading love for those who are less fortunate. 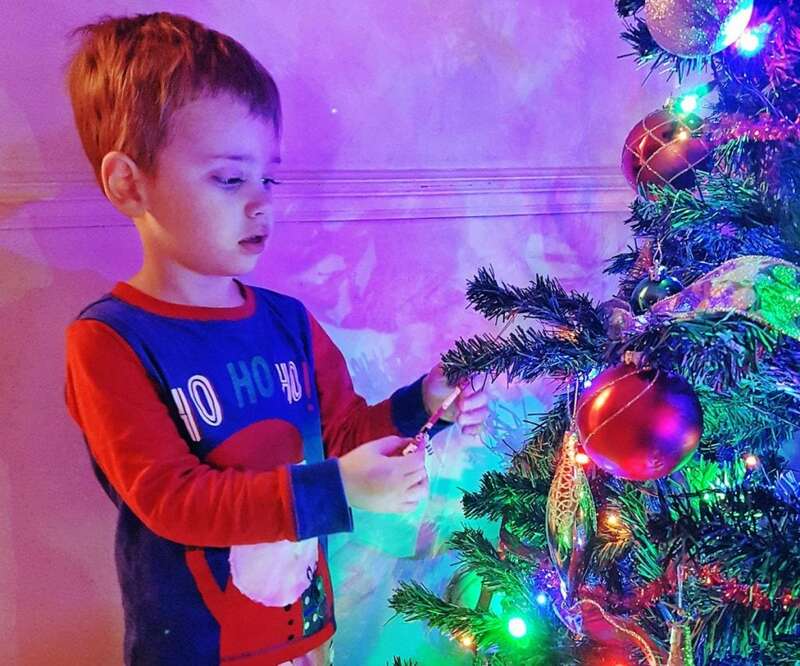 These Christmas traditions will no doubt evolve and develop as my family grows older. I can’t wait to add more traditions of our own and share more with them as they understand more. I would also like to thank Mothercare for their lovely gifts and for adding to our Christmas cheer this year! What are your family Christmas traditions? Do you do any of the ones above? I would love to hear about them in the comments.